Mark Fabes, the director of IT for McDonalds UK, is toying with the idea of installing 3-D printers in the stores. The purpose of these printers would be to allow customers unhappy with their Happy Meal toys to get a cooler replacement toy on demand. Fabes does not have a roll out plan for this technology; it's just something he mentioned as an idea while sitting on a panel concerning emerging technologies. 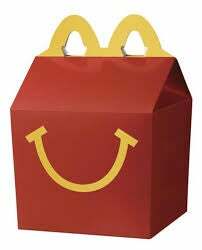 It really would be a good idea to allow children to choose their own toys and would most likely increase sales for McDonalds. The technology wouldn't even be that far of a stretch for the company who has been creating products out of shapeless masses of goo for years .